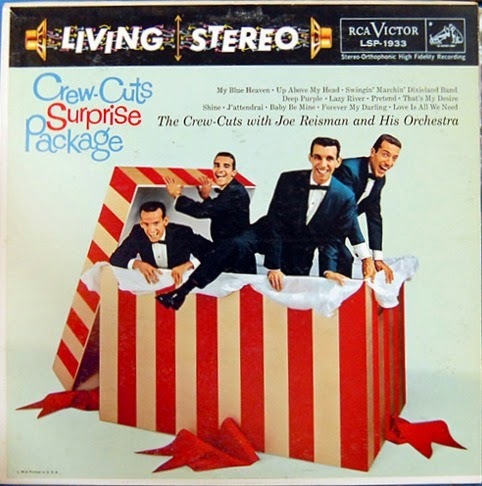 *Early 60’s recordings, finally released in 1980 on the Picc-A-Dilly LP PIC 3560/80 (see above). The group was comprised of Rudi Maugeri (27 January 1931, USA, d. 7 May 2004, Las Vegas, Nevada, USA; baritone), Pat Barrett (b. 15 September 1931; tenor), John Perkins (b. 28 August 1931; lead) and his brother Ray Perkins (b. 28 November 1932; bass). Though all four had been students under the tutelage of Mgr. John Ronan at Saint Michael’s Cathedral Choir School, Rudy Maugeri and John Perkins were at first in a quartet called The Jordonaires The other two Jordonaires (Frank Busseri and Corrado "Connie" Codarini) later joined The Four Lads. After high school, in 1952, Maugeri and Perkins joined Pat Barrett and the other Perkins brother, Ray, and called themselves the Four Tones. 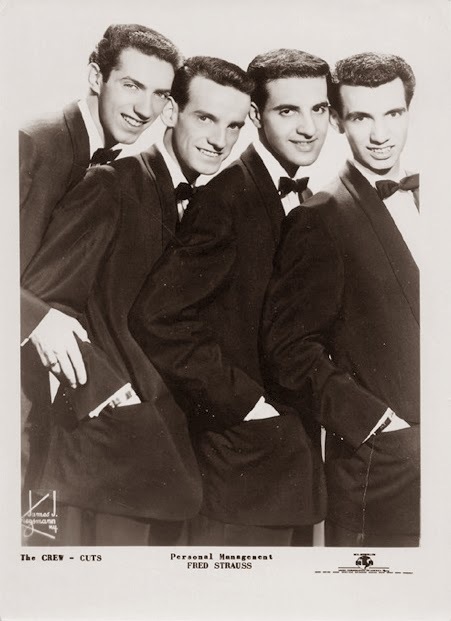 In 1952, Maugeri (who also did the vocal arrangements for the group), the Perkins brothers, and Barrett formed The Canadaires (a name suggested by the audience) when Toronto disc jockey Barry Nesbitt put them on his weekly teen show. 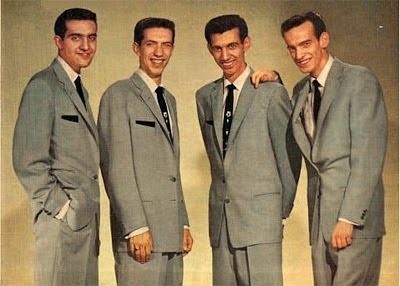 All four members happened to be working at Government of Ontario jobs, but once they got a bit of exposure, all quit to pursue their musical interests full time. 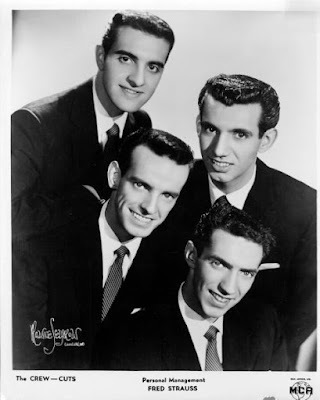 Developing a pop version of a barber shop quartet, they worked the dinner clubs around the Greater Toronto Area and into Niagara Falls, Ontario & New York area. 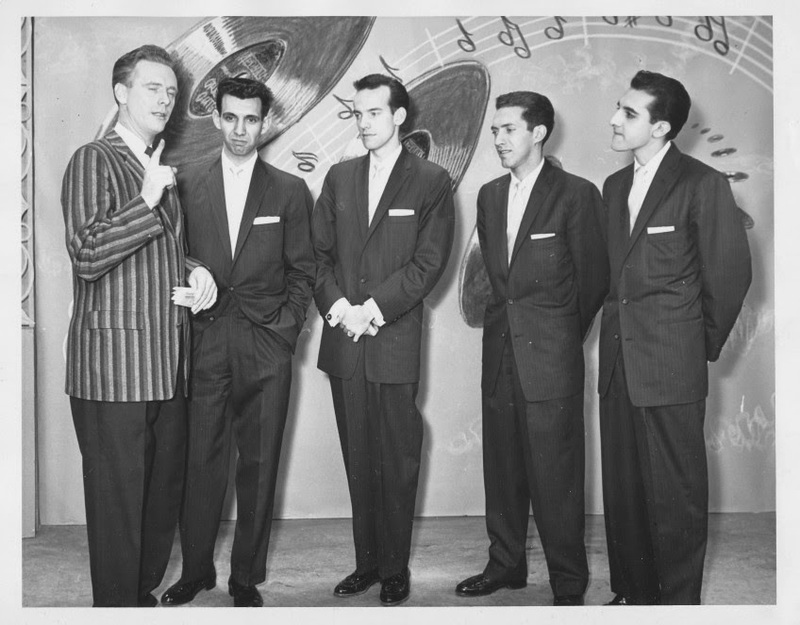 In 1953 they competed on Arthur Godfrey's TV and radio program, "Talent Scouts," where they came in second to a comedian. 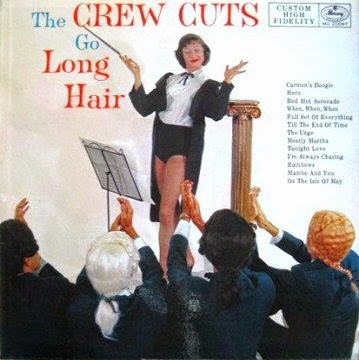 While in New York, they recorded a pair of songs they'd written themselves called "Chip Chip Sing A Song Little Sparrow" for Thrillwood Records, but soon returned to Toronto. There, they landed the opening slot in Gisele MacKenzie's show at the Casino Theatre. She was so impressed with the quartet she raved about them to her record label but unfortunately couldn't remember the group's name. The following winter, the band was playing at a club in Sudbury one night. It was 40 below. Their agent contacted them saying that they had been invited to appear on the Gene Carroll television show in Cleveland (U.S.). Hoping that this was the break they were awaiting, they hopped into their car and drove nearly 600 miles without a heater. They thawed themselves out I suppose and managed to perform three times. It was there they met local disk jockey Bill Randle. 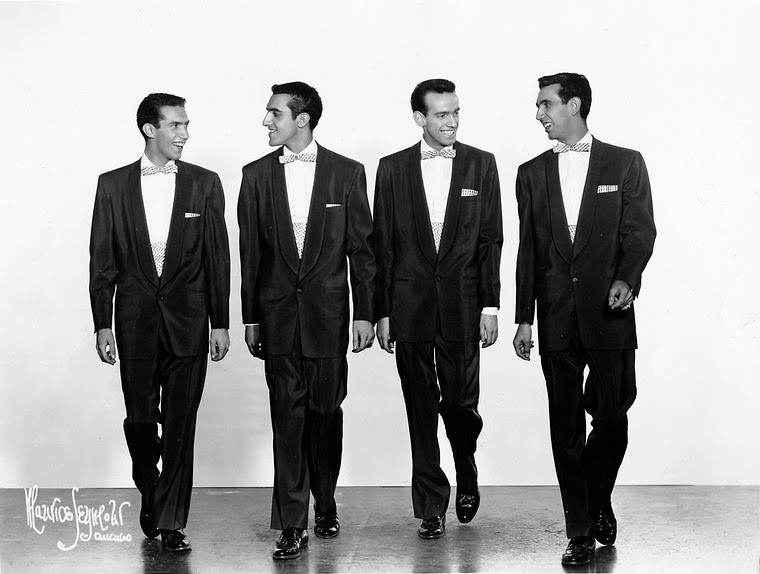 On his show he coined the band's name, the first recognized link between rock & roll and fashion. 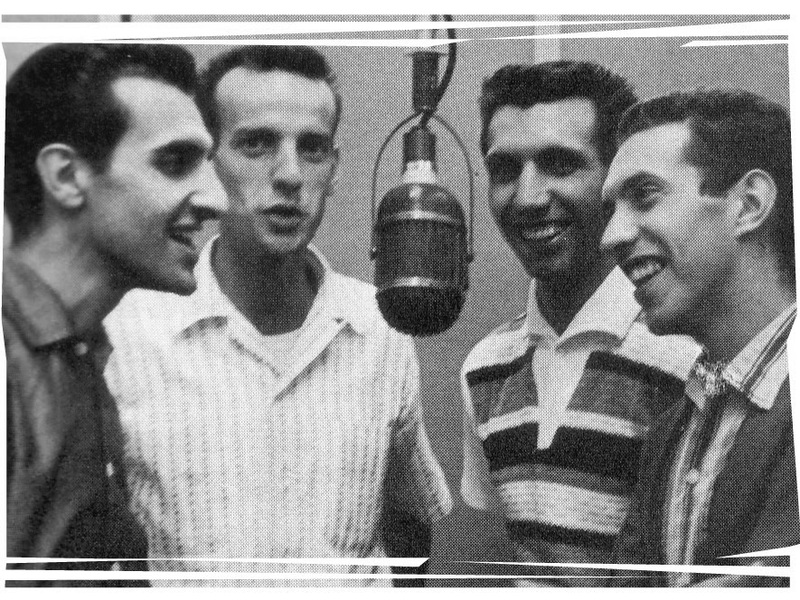 In addition, Randle arranged for them to audition with Mercury Records, who liked them enough to sign the quartet to a contract. 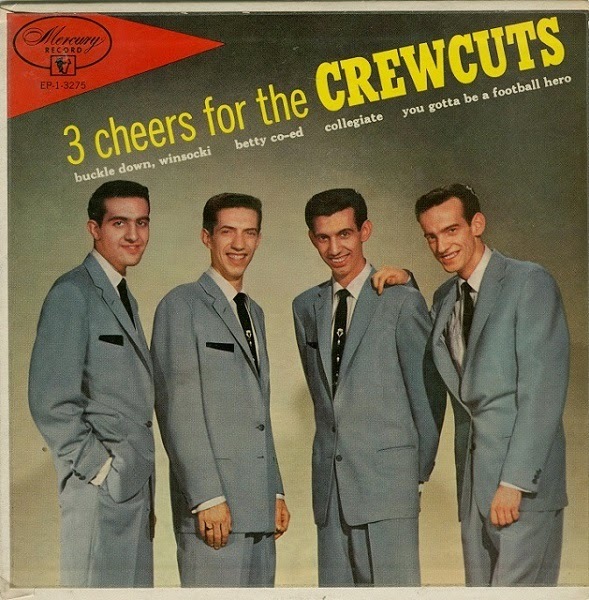 They changed their name to The Crew Cuts, and their first singles for a major label made little impression, lasting only a few weeks in the top 40 in the fall of '53. 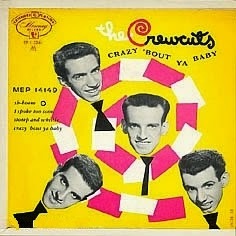 But "All I Wanna Do" and "Crazy 'Bout You Baby" were written by Maugeri and Barrett themselves, unusual for the period because the majority of the other doo-wop era groups were spoon fed their material by the labels. They too would be put on that diet also, and became specialists in cover recordings of Detroit's Black R&B groups, one of the very first White vocal groups to reap those benefits. They also had literally hundreds of unrecorded pre-Motown hits pitched to them that were written with them in mind. Of those groups were The Chords, who'd released a single called "Sh'Boom" which hadn't yet entered the charts. 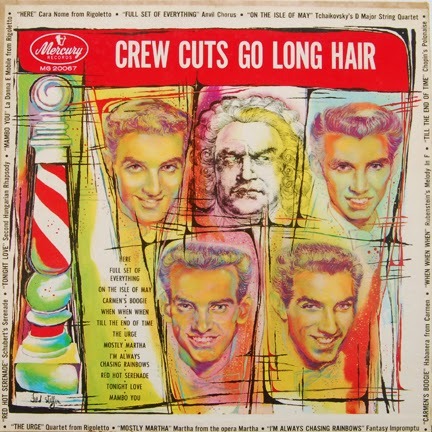 Mercury execs thought it would be a good fit for The Crew Cuts to cover, and would be a hit while giving an emerging Black R&B sound a wider audience. 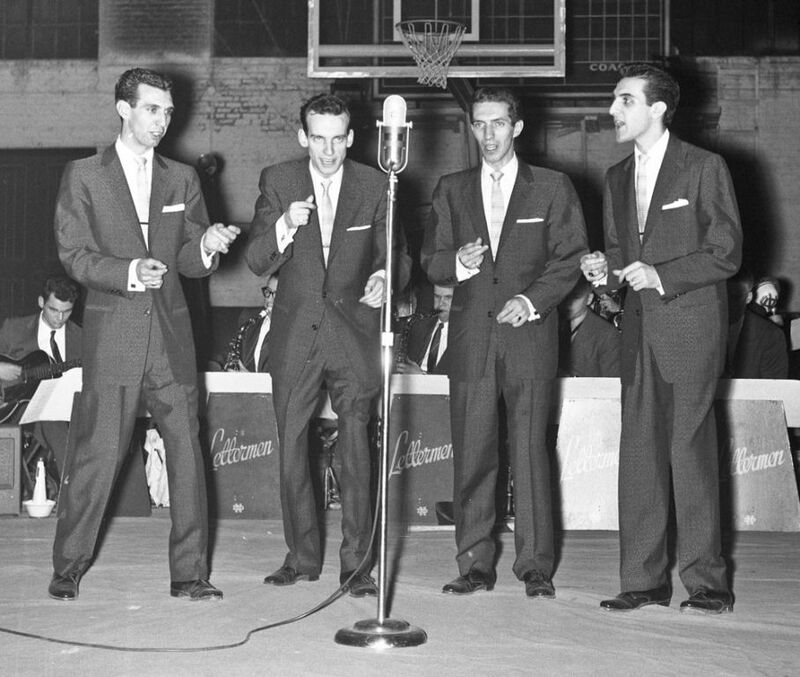 A quick trip to the studios and by May 1953 their own version of the song was released. 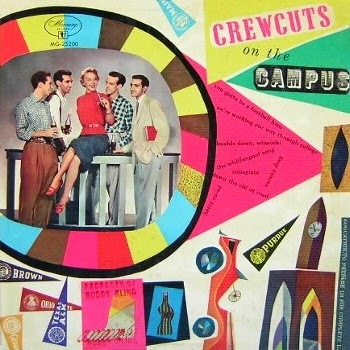 While the original version eventually spent a blink of an eye at #2 in the US, The Crew Cuts' version eventually topped both the American and Canadian charts, where it remained for nine weeks in the USA and 10 at home. In the process it became the second biggest selling single of '54, after Kitty Allen's "Little Things Mean A Lot." 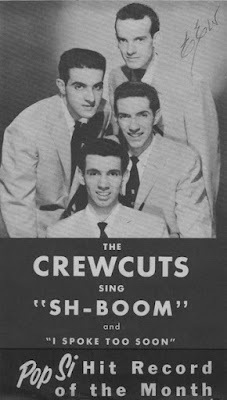 The main reason the Crew Cuts' recording of "Sh-Boom" made it to No. 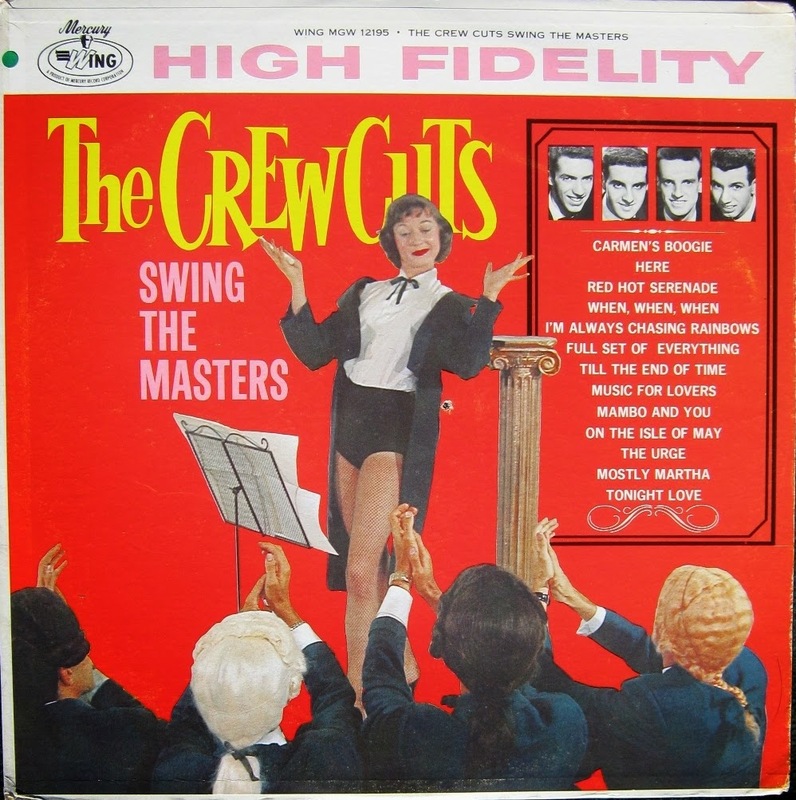 1 in place of the far superior original version by the Chords was that most mainstream disc jockeys around the country thought the watered-down pop version would be more acceptable to their listeners. 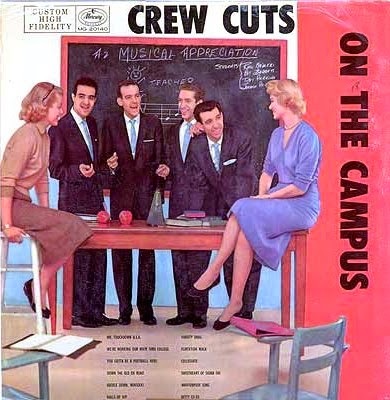 The record, the first rock-affiliated single to top the charts, opened the door in 1955 to "cover" versions of R&B hits by such white pop groups as the Fontane Sisters ("Hearts of Stone") and the McGuire Sisters ("Sincerely"), as well as such solo acts as Pat Boone. The white covers frequently outsold the black originals. But after the explosion of rock 'n' roll in 1956, it soon became clear that teenagers preferred the real article. The gradual breakdown of radio segregation also contributed to the diminished acceptance of cover versions by pop singers. 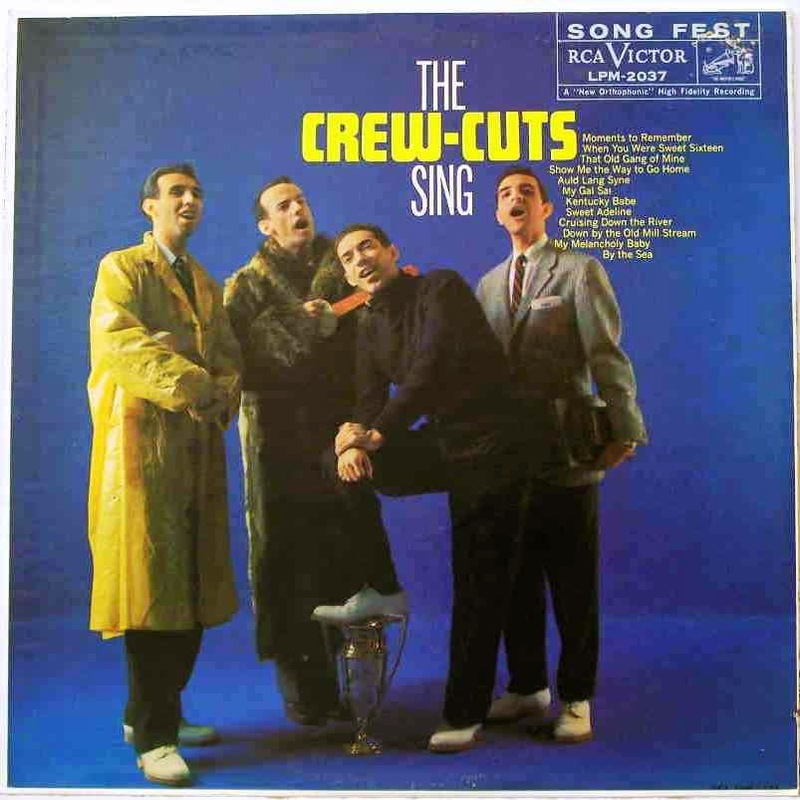 The Crew Cuts were bridging the gap between the big-band sound and the R&B music that was sweeping the country, and they were reaping the benefits of stardom, as well. 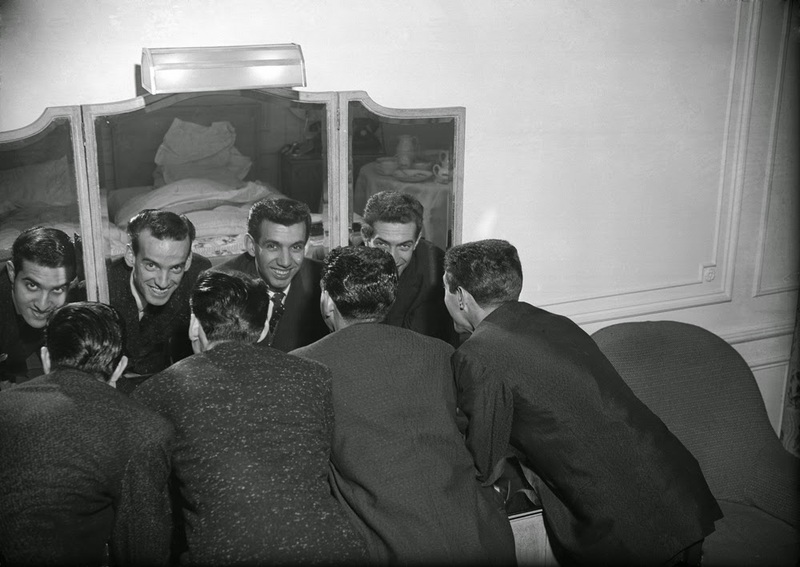 When they were booked into a Toronto club, the city fathers welcomed them home with a ticker-tape parade. 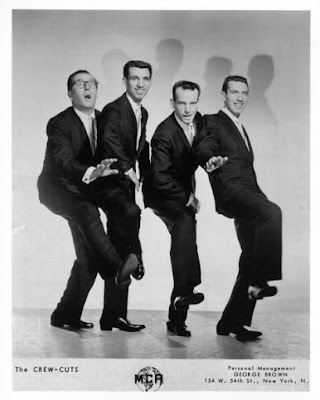 They were quickly one of the top attractions when they were added to the rosters on the endless travelling rock & roll tours throughout the US and Canada. 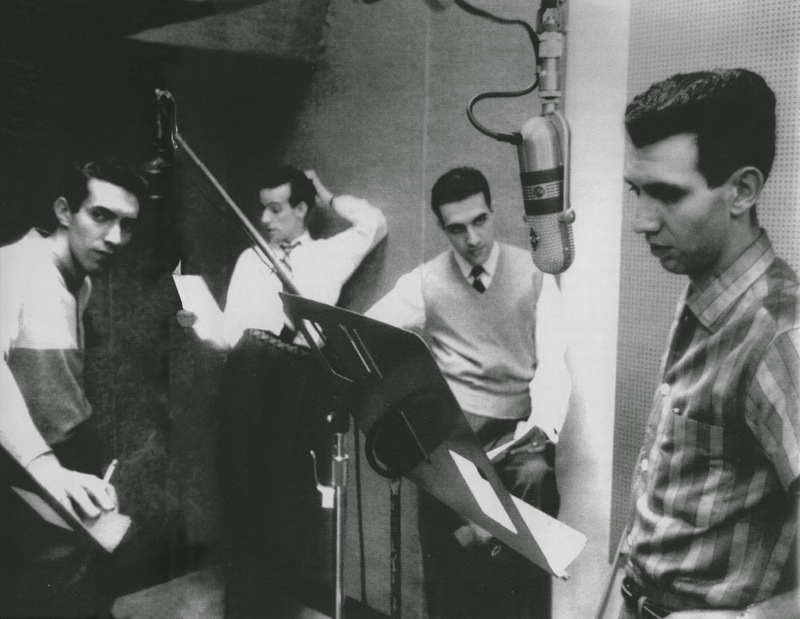 In between long bus rides they found time to hit the studios when possible, and a number of hits followed, mostly covers or hand picks by the label. 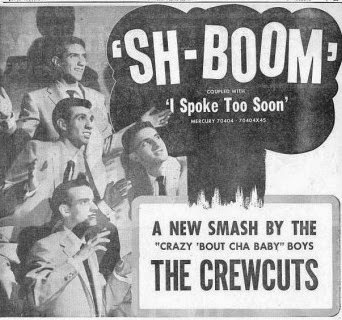 "Oop Shoop," originally done by Shirley Gunter, was in the top 20 in Canada for two months later that year, and went to #13 on the American chart. Next up was "Earth Angel" (originally recorded but not charted by The Penguins), which peaked at #2 on the US charts while staying in the top 20 for 20 weeks, topped the Canadian chart for six weeks, peaked at #4 in England, and was a top 10 in Australia. The song was another pop/R&B crossover hit, and management shipped them off for their first international tour, where they sold out a number of the top venues overseas. 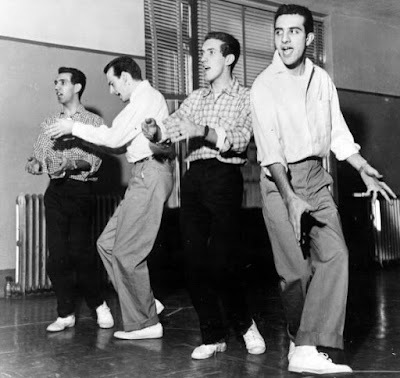 By 1955 Mercury was shopping out the singles to independent distributors, to varying degrees of success, including "Chop Chop Boom," "Ko Ko Mo (I Love You So)" with The David Carroll Orchestra, "Dance Mr. Snowman Dance," "The Whippenpoof Song," and covers like "Don't Be Angry" (originally by Nappy Brown), "A Story Untold" (The Nutmegs) and "Gum Drop" (Otis Williams and his Charms). The latter made the top 10 on both sides of the 49th. 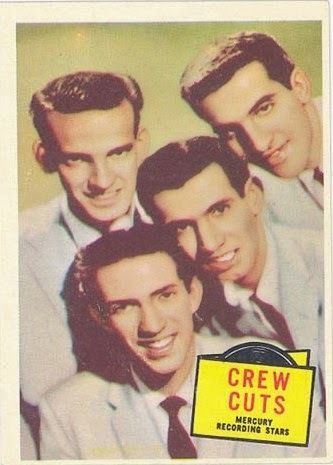 Somewhat surprisingly, the Crew-Cuts stopped covering R&B songs after "Gum Drop". 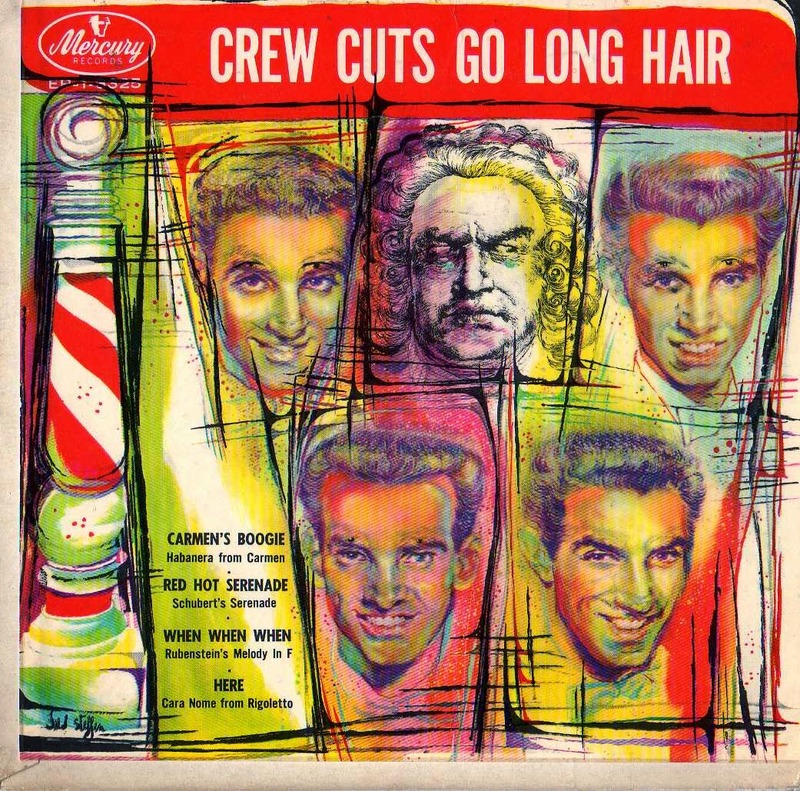 Their success was already dwindling in 1956 and their last chart record was "Young Love" in January 1957 (# 17), this time a cover of two white vocalists (Sonny James and Tab Hunter), who both sold far greater quantities of the song than the Crew-Cuts. 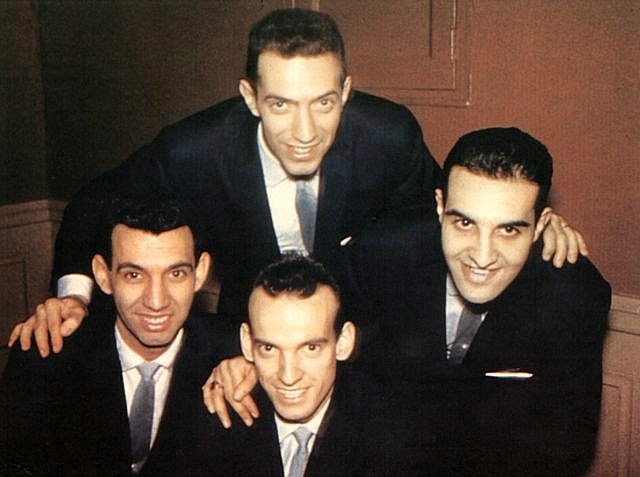 However, Mercury continued to cover R&B songs with another group of Canadians, the Diamonds, who went on to score hits until 1959. Still, their version cracked the top 20 in Canada and the US, and more touring throughout North America ensued. 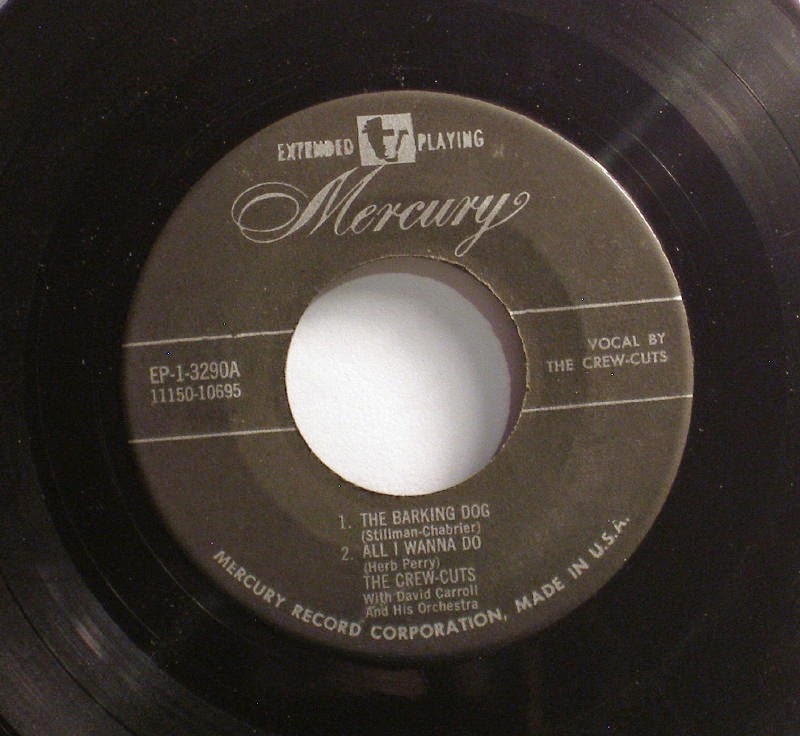 Five more singles were released under Mercury's banner, including "Suzie Q" (considered by some critics as one of the worst of the many many covers of the song ever), "Whatever, Whenever, Whoever," "I Sit In The Window," "I Like It Like That," and "Be My Only Love." 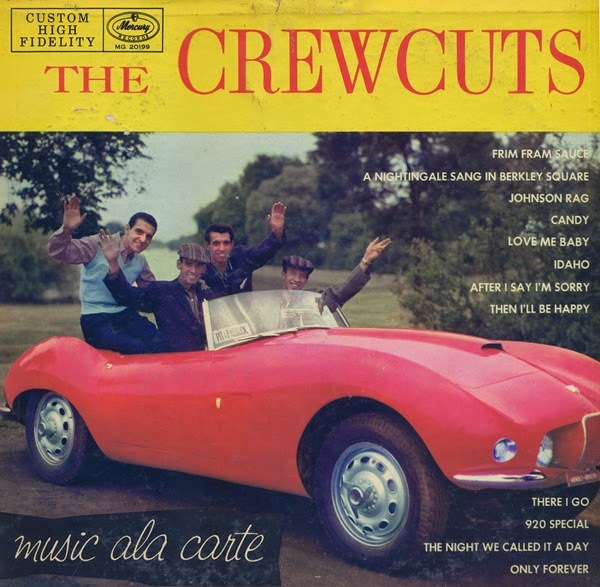 Following mediocre at best results from any of them, the label put out one more album, MUSIC A LA CARTE later that year. And when that too failed to make a ripple in the tide of R&R, they were tossed overboard from the good ship Mercury. 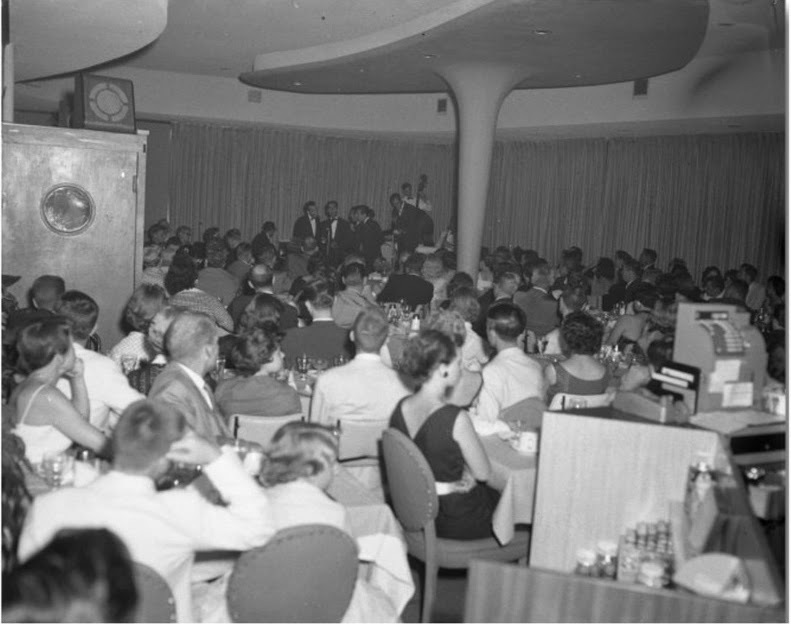 They moved to RCA Records in 1958, who leased out a string of poor selling singles to various subsidiaries (Warwick, Whale, Vee-Jay, ABC, Chess to name a few) over the next few years. They tried shaking the covers stigma and released three original singles - "Hey!," "Over The Mountain" and "Legend of Gunga Din." 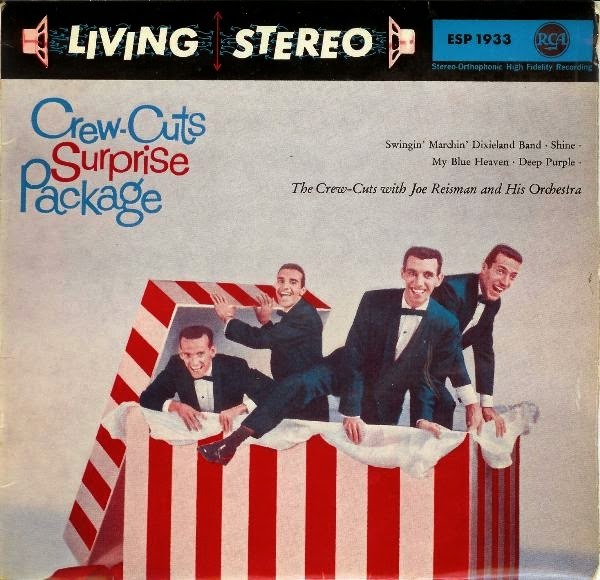 But starting with SURPRISE PACKAGE in '59, they released ten more albums up until 1962, and there were signs of the foursome futily trying to expand their sound, but stay within the defined limits of their core essence. 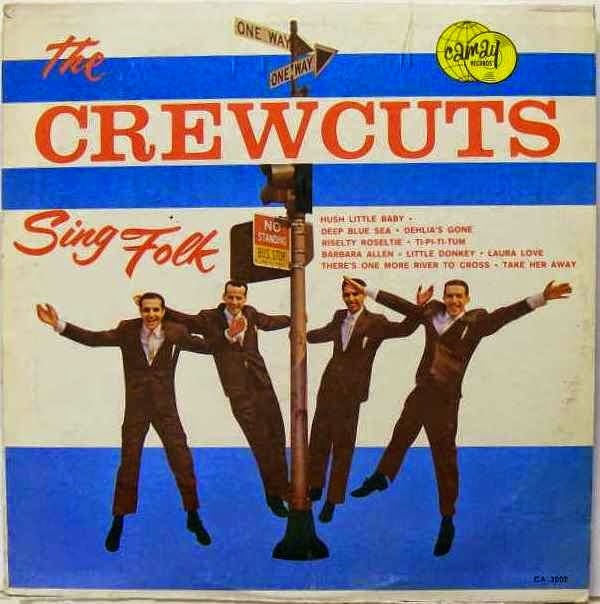 They tried covering everything from The 4 Lads' " Moments To Remember," the New Year's classic "Auld Lang Syne," and the jazz standard "When The Saints Go Marching In," to an all-original grassroots folk album. One brilliant marketing move, saw one record in 1960 contain half of the same record less than a year earlier on side one. 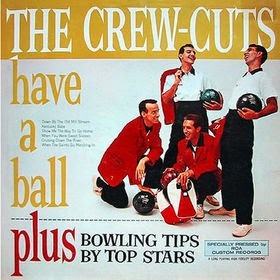 And on side two was... tips on improving your 9 and 12-pin games from the clean cut swooners, trying to capitalize on what was apparently a very popular sport at one time, because for musicians, nothing says trying to stay hip like a tub of hair grease, pants that ride above your ankles and a good game of bowling. They officially called it quits in 1964, and they all scattered throughout the US over the following years. They reunited in Nashville in 1977 for a one-off performance, then a few odd dates here and there over the next few years. In 1980, Picc-A-Dilly Records (a subsidiary of First American Records) acquired the rights to a bunch of later material from the band that hadn't been released, resulting in the album, THE WONDERFUL HAPPY CRAZY INNOCENT WORLD. This in turn sparked an onslaught of a handful of their songs making their rounds on compilation albums, which continues today. Along with The Diamonds and The 4 Lads, they were inducted into the Canadian Music Hall of Fame in 1984 in recognition for their contributions to the Canadian doo-wop era and their influence shaping Canadian pop music. 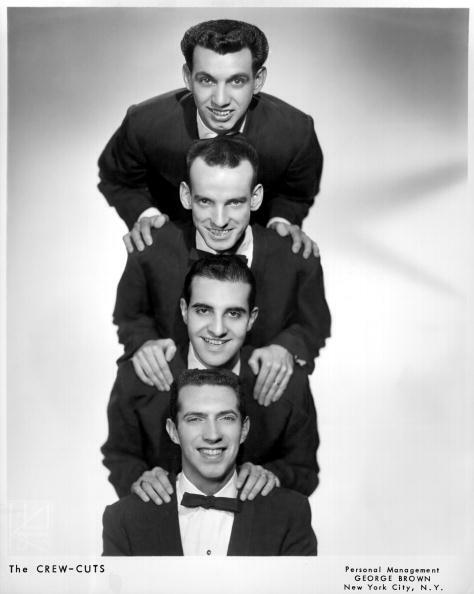 The three groups were also inducted into the Vocal Groups Hall of Fame. 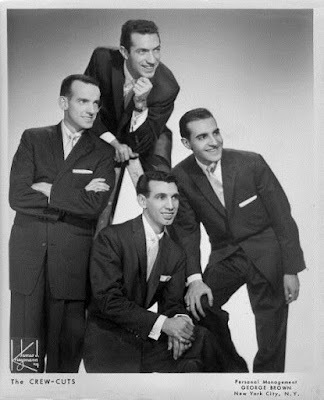 During the taping in Sharon, PA, all three groups' performances (plus many others) were used as part of a PBS Television's fundraising drive - "Magic Moments - The Best of '50s Pop," which is still shown regularly on the network and available on DVD. After the original disbanding, Maugeri became a radio DJ in Los Angeles and New York and did other production projects on the side. In the '90s, he then opened a pair of wellness centres in Hollywood and Las Vegas. He died in his Las Vegas home of pancreatic cancer on May 7, 2004. John Perkins is the Choir Director at St. Margaret Mary Church in Slidell, Louisiana, and Ray Perkins lives in Washington state. Pat Barrett passed away on July 27, 2016.